A tooth that has been structurally damaged by decay or trauma sometimes needs to be crowned or “capped” so that it can look good and function properly again. A crown is a durable covering that is custom-made to fit over the entire tooth from the gum line up. Crown fabrication traditionally takes place in a dental laboratory. But these days, there's a much more convenient alternative: same-day crowns made right here in the dental office. 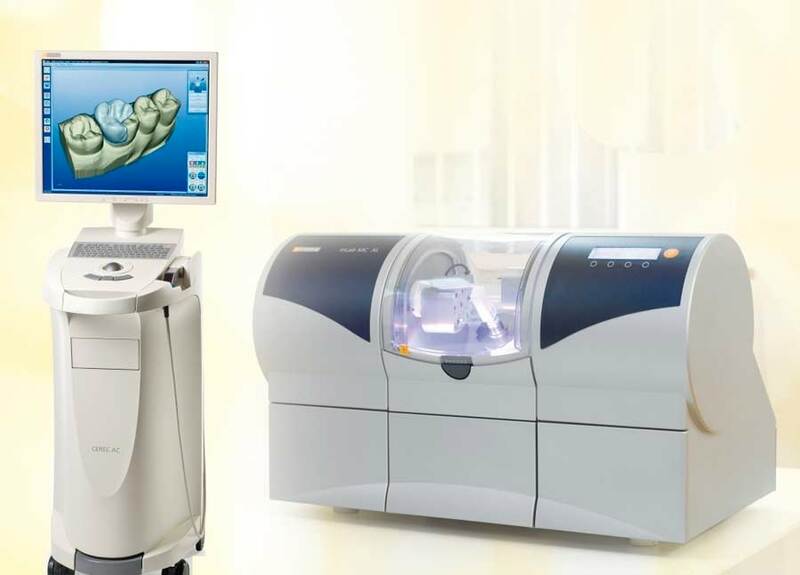 Advanced dental technology known as Computer-Aided Design/Computer-Aided Manufacturing, or CAD/CAM, allows us to fabricate laboratory-grade crowns and other dental restorations in minutes. It's an amazing innovation when you consider that traditionally, crowns take two or three visits and just as many weeks of waiting. Now you can have a restored tooth without the wait. If you were getting a traditional crown, the next step would be to take an impression (mold) of your teeth with a putty-like material to construct a model on which to create the crown. With a same-day crown, we will simply give your teeth a light dusting of reflective powder and then use a small scanning wand attached to a computer to take digital pictures inside your mouth. In seconds, the computer will generate a highly accurate 3D model of your teeth. But it gets even better. With the help of the CAD/CAM software, we will design your crown while you wait. We can even use the software to create a mirror-image twin of the same tooth on the other side of your mouth, for the most natural-looking result possible. We then choose a block of dental ceramic material in the shade that most closely matches your own teeth. The computer's digital design is transmitted to a milling machine that carves the crown from the ceramic block in about five minutes. Once we have verified the fit and made any aesthetic enhancements we deem necessary to the crown's surface (staining and glazing, for example), we will bond the crown to your tooth. With a traditional crown, you would have to wear a temporary restoration for several weeks while the permanent crown was being fabricated at the lab. With a same-day crown, you walk out with the real thing. Crowned teeth require the same conscientious care as your natural teeth. Be sure to brush and floss between all of your teeth — restored and natural — every day to reduce the build-up of dental plaque. When you have crowns, it is even more important to maintain your regular schedule of cleanings here at the dental office. Avoid using your teeth as tools (to open packages, for example). If you have a grinding habit, wearing a nightguard would be a good idea to protect your teeth and your investment. A well-cared-for same-day crown will last for years to come.